How sweet it is. SDSU fans have to do a double-take at the headline, “SDSU Sweet Sixteen”…any other year, it would feel like it’s a misprint. Not this year, my friends. For the 1st time in school history, The San Diego State Aztecs are going to the Sweet Sixteen. If you’re anything like me… you were elated when the buzzer sounded after Double OT against the Temple Owls. 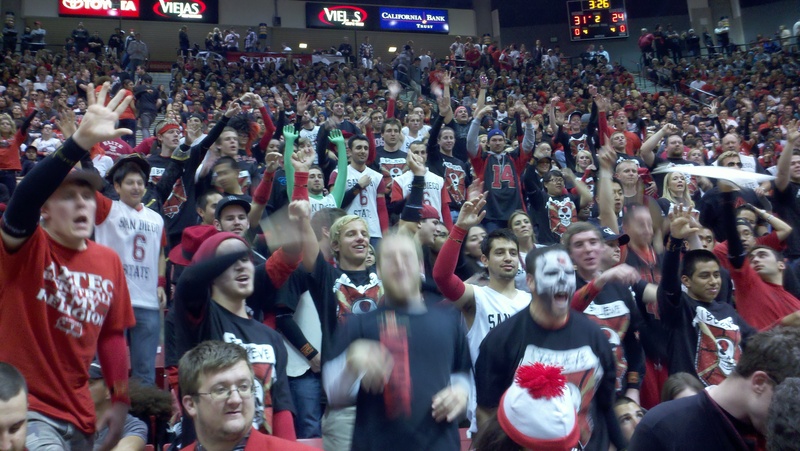 Aztecs won 71-64 to advance. I was so thankful they won because I think I might’ve died of a heart attack on the spot if the Aztecs put us through another overtime. Our defense was huge holding their big scorers to an awful shooting percentage, but they D’d up too. DJ Gay and Kawhi Leonard were NOT on top of their game on Saturday, and the Aztecs still prevailed. Luckily, Billy White looked good, Malcolm Thomas looked good and Chase Tapley looked like Jesus Shuttlesworth out there just drainin’ threes left and right. Getting the W while DJ and Kawhi struggled a bit was encouraging, because I don’t think that’s something we should expect for the next game. I really hope that Steve Fisher gets a lot of credit from the national media for taking this program from nothing to something. After reaching the regional finals 4 times with Michigan, he took over a SDSU program that flat out sucked, and after a dozen years…he’s in his 5th regional title game. He’ll be putting in some serious overtime this week as the Aztecs prepare to take on Kemba Walker and the UConn Huskies on Thursday. Kemba is a player of the year candidate coming off a game in which he put up a cool 33 points. His team? No big whoop, there’s just coming off a stretch of 7 games which started with sweeping through the Big East Tournament, 5 wins in 5 days to win the championship. These guys are good…very good. Most people consider the Big East to be the best conference in the nation… others, like Sir Charles Barkley, think they’re overrated. Regardless, they got 11 teams into the Big Dance this year…not too shabby. Check back to LobShots soon for my thoughts on the Big East. We know Kemba Walker is good, and he seems like a good person… but if I have to hear him say in another postgame interview that they are “shocking the world” with what they are doing, I’m pouring Drano in my ears. News flash, Kemba, you’re not shocking anybody. You’re candidate for player of the year, you play for Jim Calhoun, you won the Big East tournament, you’re a #3 seed in the NCAA Tournament. UConn has won the National Championship twice, and you went to the Final Four 2 years ago. What the hell are you talking about, Kemba? The only thing shocking about UConn this season is how dumb it is of you to keep saying you’re shocking the world. You, my friend, are the number 1 reason I want SDSU to crush UConn’s will to live. Because, if you do happen to win on Thursday, and you say you SHOCKED THE WORLD by beating a team with as many NCAA Tourney wins in it’s history, two, as you have National Championships in the past dozen years… you’re an idiot. Well, guess what Kemba… we have a 6th man… they go by The Show. You may not know this, but Anaheim is practically in our backyard here in San Diego. Hell, it was probably a coin toss when the Halos decided between the Los Angeles Angels of Anaheim or the San Diego Angels of Anaheim. You know what that means? Home game for us. The Show was ready for Jimmer, and they will be ready for you. Try not to be too distracted. LobShots readers want to send Kemba some encouraging words pre-game? 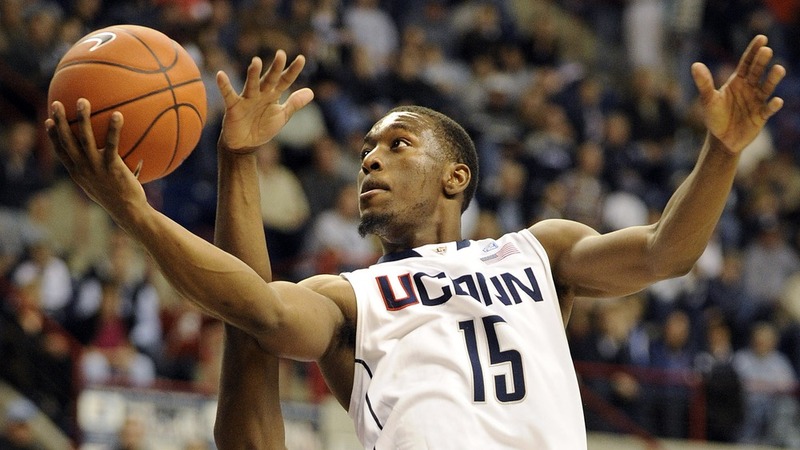 Be my guest, hit him up on Twitter, @Kemba15Walker . At the time of this post on Monday morning, his last tweet was “I’m not gonna guarantee yall we gonna win a championship this year”. That’s wise of you, young Kemba. Lost in the mix of all this? 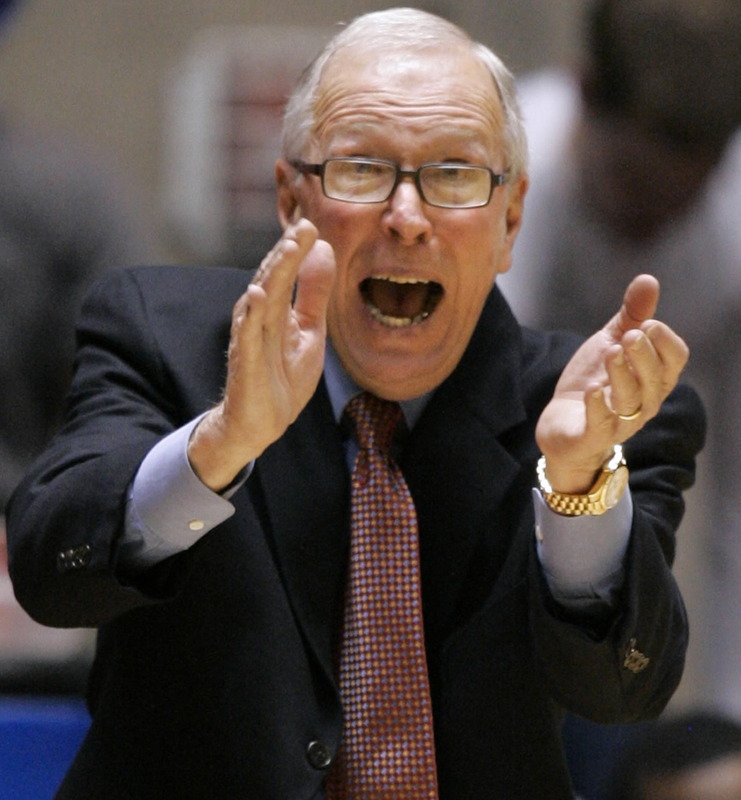 SDSU fans should probably send Jimmer Fredette a thank you note… Steve Fisher has had to prepare for a POY candidate 3 times already this year… and he finally figured it out the third time. So, thank you Jimmer, because of you, Steve Fisher’s game plan against Kemba and Calhoun will be stronger. Come Thursday night, my prediction is that SDSU will stand victorious, and they will have actually “shocked the world”…well, shocked anybody who filled out a bracket… well, shocked anybody that’s shocked by a 2 seed beating a 3 seed…well, crap… just trust me, it’ll be shocking, okay? This entry was posted in Basketball, March Madness, NCAABB, Sports and tagged @Kemba15Walker, Big East tournament, Billy White, Chase Tapley, DJ Gay, Double OT, Jesus Shuttlesworth, Jim Calhoun, Jimmer Fredette, Kawhi Leonard, Kemba and Calhoun, Kemba Walker, Los Angeles Angels of Anaheim, Malcolm Thomas, National Championship, NCAA tournament, NCAA Tourney, POY candidate, San Diego Angels of Anaheim, SDSU, SDSU Sweet 16, SDSU Sweet Sixteen, SDSU Sweet Sixteen - We Want Kemba, Steve Fisher, Temple Owls, The San Diego State Aztecs, The Show, twitter, UConn, UConn Huskies. Bookmark the permalink.